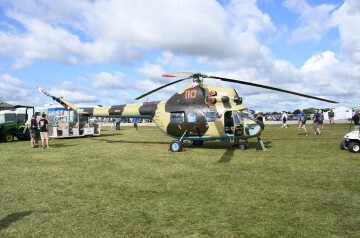 A modification of the Mi-1, the Mi-2 was the first Russian light helicopter (NATO Designation: 'Hoplite') powered with two turboshaft engines. Although initially built and test flown in the USSR all subsequent development and production was carried out by WSK in Swidnik, Poland. (now PZL-Świdnik). Development began in 1960 and the Mi-2 became widely used in both the armed forces and civil aviation after it began production in 1965. The aircraft may be fitted with a sling system with a load capacity of 800 kg and a load hoist with a lifting capacity of 260 kg. The cabin can carry eight passengers in addition to the pilot. 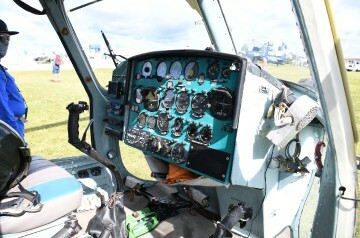 Resources related to the Mi-2 , provided by the Vertical Flight Society. 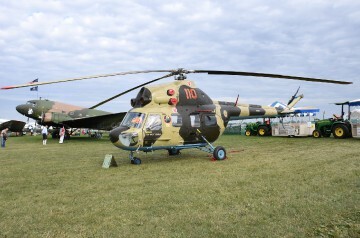 Resources related to the Mi-2 , provided by public sources across the internet.